Next post: At one point Fred hires Bat Masterson to run security for one of his more out-of-the way restaurants. 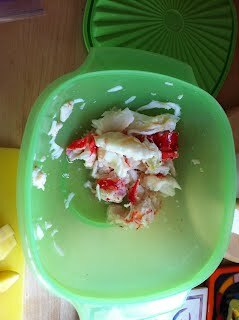 So I went to the Homer Farmer’s Market last Saturday and came home with half a king crab. I won’t tell you how much it cost, but believe me when I tell you it was worth every bite Saturday, Sunday and Monday. It was a darn fine Memorial Day weekend if we’re only going by my palate. So this morning I looked to see if I could go back to that well one more time. Not a lot there, but enough that it deserves more respect than eating it standing over the sink. So how about some chowder? Saute a little sliced bacon over low heat, until it’s browned but not burnt. 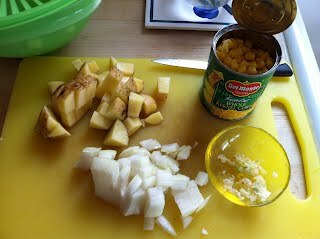 Add half a small onion, chopped, and a small potato, diced. Add a couple of grinds of sea salt and black pepper each and cook over medium high heat until the onion starts to brown, about three minutes. Add a couple of cloves of garlic, pressed, and stir through until the smell hits your nose. Add a small can of corn kernels. Add one part whole milk to one part chicken broth, just enough to cover. Bring to a boil, reduce to a simmer, and let cook for 15 minutes. Stir in the crab. Turn off the heat and walk away for five minutes. Serve. This chowder works with just about any seafood I’ve ever tried, cooked or uncooked, shrimp, clams, salmon, rockfish, halibut, or all of the above. If it’s already cooked when you put it in, wait only until the fish is heated through before serving. Do not overcook! Add a little saffron if you feel like it. Add rice instead of potato. Or quinoa. Add enough milk and stock to cook the grain without the pot running dry. I keep my bacon in the freezer, and slice off just enough to use for each recipe. 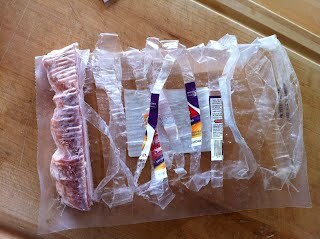 Then I roll it up, put it in a Ziploc bag and put it back in the freezer. Get thee behind me, Satan. There used to be more recipes. I miss them. Why not publish a cookbook (in your copious free time!)? I’ve loved the foods mentioned in your books and here. Hell, I just love your books, reviews, etc.